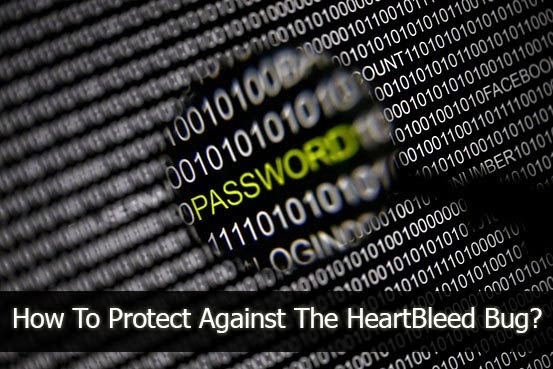 How To Protect Against The Heartbleed Bug? The Heartbleed Bug is a major security threat that has effected millions of websites around the world. It has the potential to expose users' private information, including passwords, financial details and instant messages, among other thing. While many big websites have applied patches to fix it, a deeper look into the security loophole has revealed that your privacy might be compromised at this very moment, and hackers could have access to your personal information through your home routers! This new revelation was made by Cisco Systems and Juniper Networks, two of the world's largest manufacturers of internet equipment. They have announced that their products had been impacted by the Heartbleed Bug, leaving your personal information at risk of being stolen via the networking equipment you might have in your home or office, including routers, switches, firewalls etc. In wake of all these security threats, here are some things you can do to ensure the safety and security of your identity and private information. Most big websites have patched the problem, so you can go ahead and change your passwords on them. These sites include Google, Yahoo, Facebook, Pinterest, Instagram, Tumblr, Dropbox, GoDaddy, and so on. In short, most reputable websites have patched themselves. There's no sense in changing your password for every website though. If your information has been stolen before, it can be stolen again on websites that aren't patched up. Changing your passwords recklessly will draw unwanted attention of hackers, who might possibly be looking for recent password changes. So be advised! I know some of you might be shop-a-holics, but it'd be advisable to lay off credit card transactions for a bit until the dust settles. Your personal information such as email and physical address, credit card number and pin code, all might be compromised. Also, keep an eye on your credit card and bank statements. A hacker with a shred of common sense won't blow his cover by immediately using your credit card for a big transaction. Sometimes, the transactions are barely noticeable. But if your information has been compromised, it is bound to come up on your radar provided that you keep an eye for unauthorized transactions. Cisco and Juniper make some of the best and most reliable equipment in the world. If their devices can get compromised, anyone's can. You never know what devices a public Wi-Fi is running on, so be extra careful when using public Wi-Fi networks. Lay off them for a while if you can help it. Since routers, switches and other such devices are susceptible, vendors would be working around the clock to release firmware updates and patches to fix the vulnerabilities. Check with your vendor frequently for any updates available for your devices, and apply them ASAP! Contact your ISP for possible updates on home routers. "In the case of home routers, if it's a router that you purchased yourself, almost all of them provide the capability to disable remote access," Adam Allred, a research technologist at the Georgia Tech College of Computing, told The Huffington Post. "Most routers take the home network and the Internet that they connect to and split them into two pieces. Remote access describes the ability to get to your home router from the Internet outside of your home." Most people don't really need remote access unless they are trying to configure their router from elsewhere, Allred says. Turning it off can make it less likely for hackers to be able to come in and exploit your home router and it wont change your experience at all. Lastly, if you run your own website, update OpenSSL to patch up the problem. Usually, good web hosting companies will do this for you.